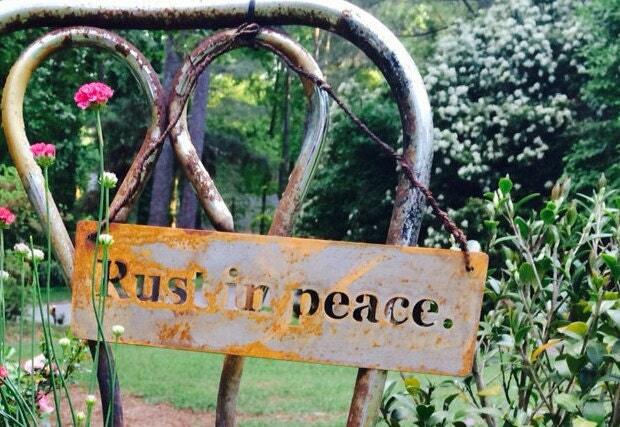 Rust in peace. 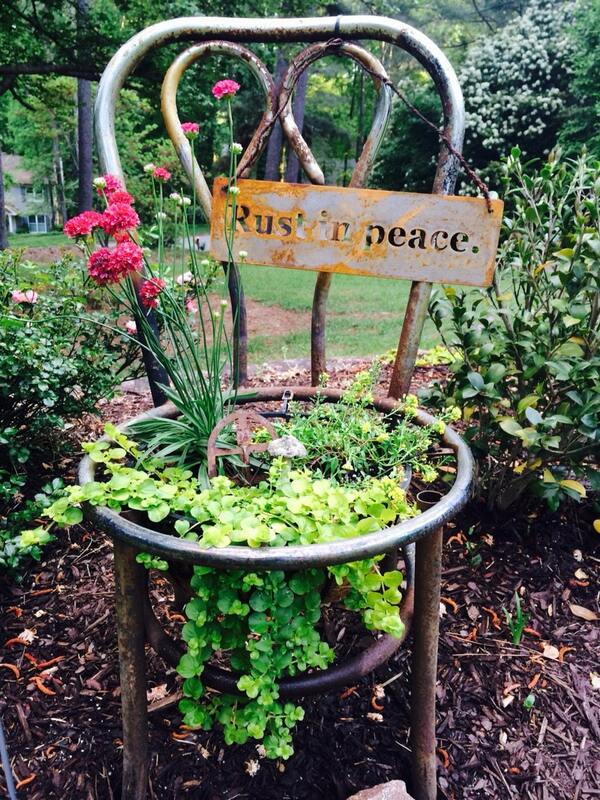 Rusted steel sign adds charm to your garden! 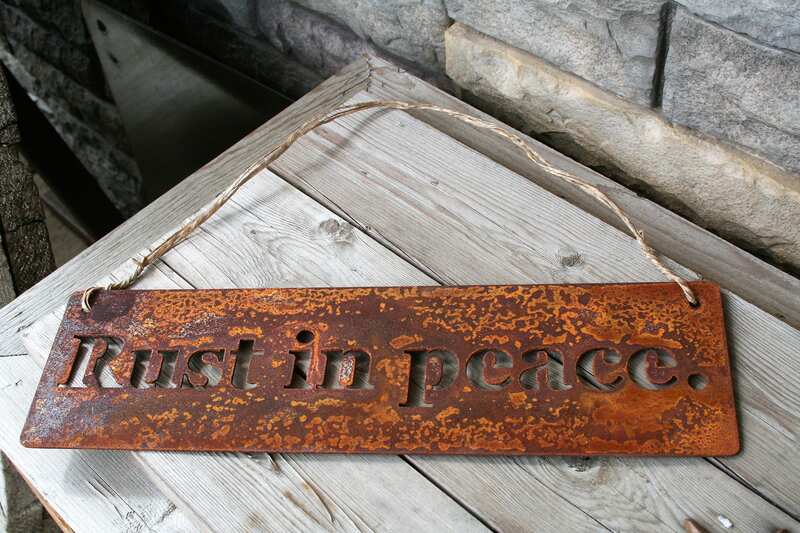 Funny metal sign finds its place in any home or landscape. 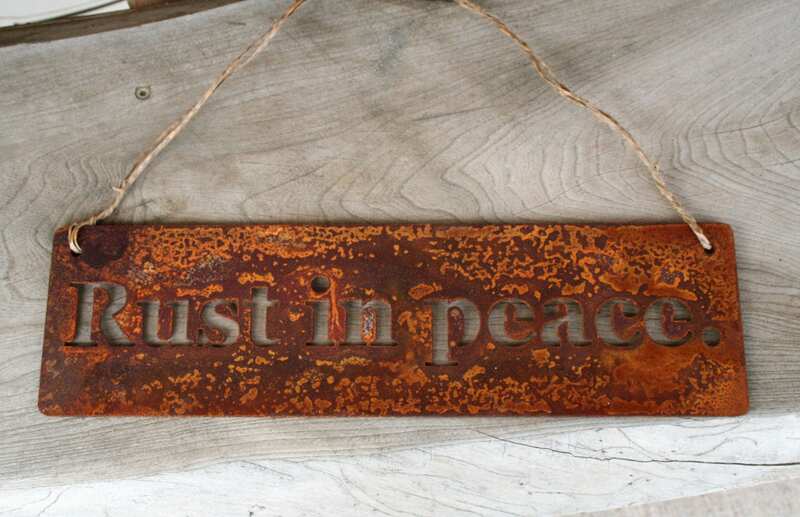 This rusted sign is cut from steel just thinner than a nickel. The funny sign is sturdy yet lightweight! 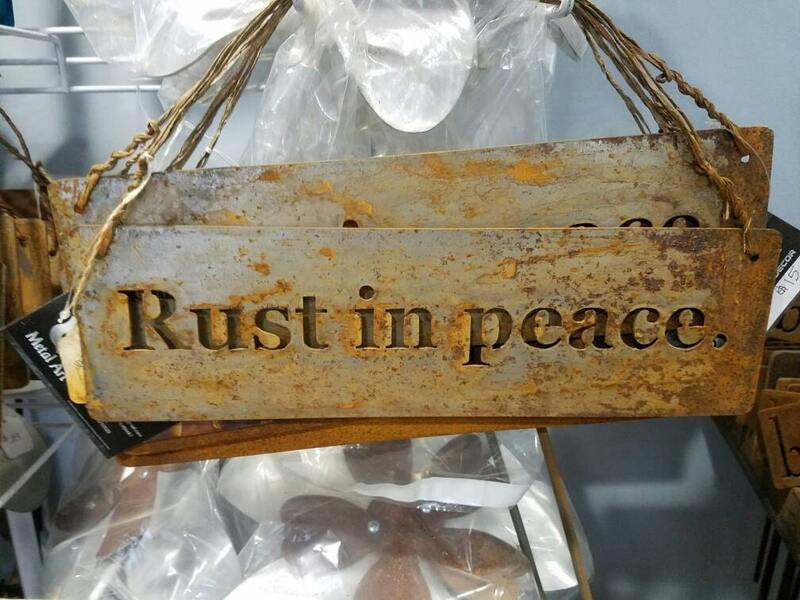 Your "Rust in peace" sign will arrive pre-rusted. 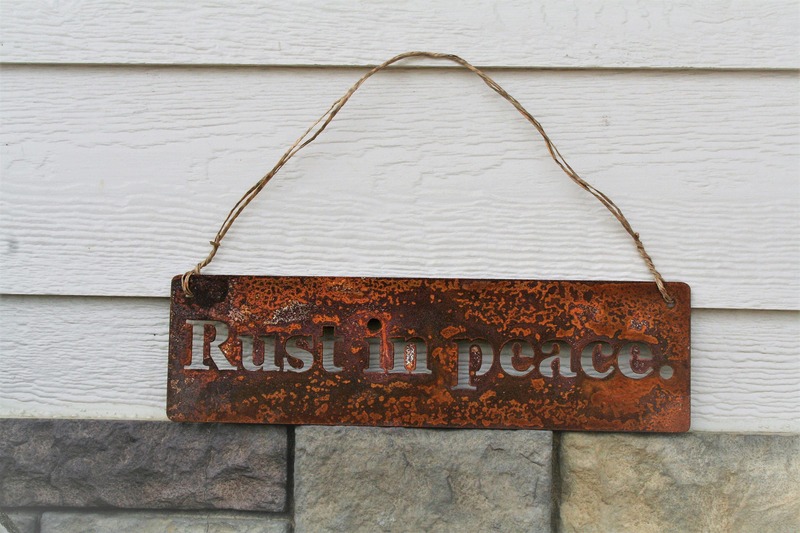 It will continue to age and patina with time outdoors. 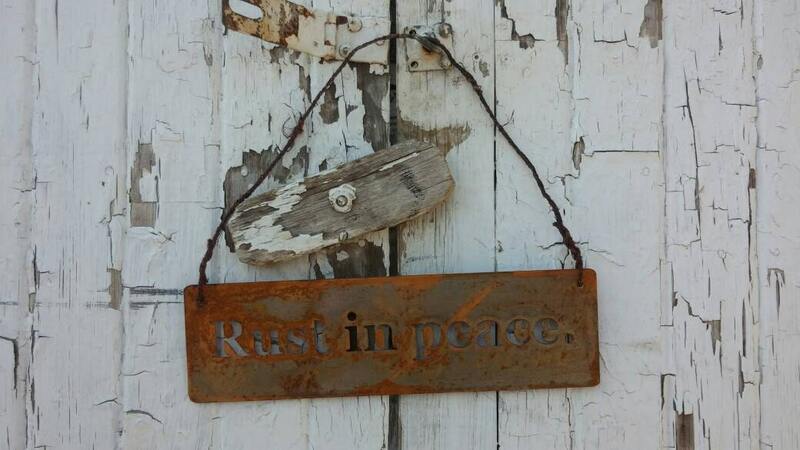 This adorable garden sign is 16" wide. It is strung with vine wire. Wire can easily be removed to nail the sign onto a door or fence. 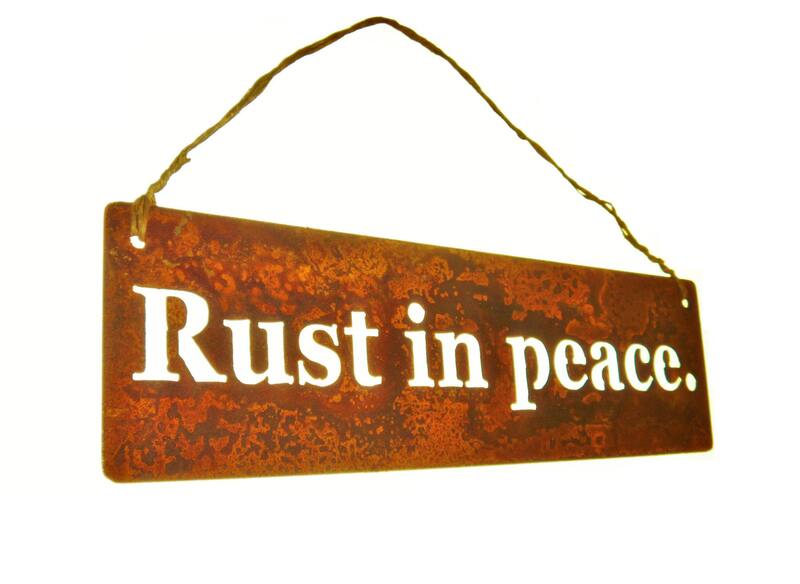 The artificial rust encouragement is ugly, but the real stuff will catch up soon enough. Very charming. This sign just arrived and it is Perfect! I love the Rustic look! Thank You so much!